A flooded basement in NJ, NY, CT, PA in Tri-state Area is something property owners typically do not think about taking place, but might also contain extensive flood damage to your residential or commercial property when this actually does occur. A basement can flood for a variety of causes, from severe-weather or even a hot water heater malfunction triggering water damage to your basement. If this happens, it will be important to consider necessary steps to have the water removed as well as structures dried immediately to avoid intensive water damage and possible mold and mildew growth. When AllStates Restoration professionals arrive to your commercial or residential property, the most necessary immediate concern is eliminating standing water. AllStates Restoration will use high volume, water pumps which will pump out water just within hours. Even after the water is removed, bacteria might be left behind. In the event the flooded water was present for twenty four hours and longer, mold develop can occur. 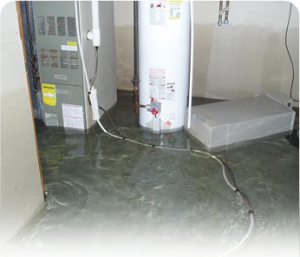 Our professional Water Damage Specialists are skilled at flooded basement clean up and restoration. We’ll disinfect and treat the wet basement for any and all microbial hazards. One essential element of this procedure is in the lowers future health risks to human and also their friendly pets. We determine which items are salvageable and determine which should be disposed. Salvageable goods are then dried up by using commercial grade dehumidifiers in addition to air mover and these will effectively contain moisture in the room for easy removal. 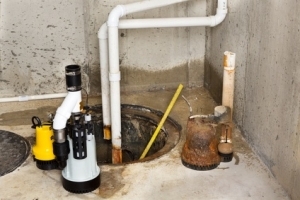 We take care of the work for you, as flooded basement clean up can mean difficult business! Water will flood into your basement at any point it could possibly — includes flooring, walls, and wall-floor joints. as well as other spaces, not to mention windows, hatch-way entrance doors, as well as the plumbing on your property are also path ways for water to go into the basement. Our complete basement water removal and damage cleanup practice includes the next steps. We will provide help to deal with a flooded basement most efficiently, along with some simple things you can do to avoid an issue. Please do not enter the flooded area untill you all certain by one of our professionals that it is safe to do so. Safety level must always come first! Electrical Shock – The moment your basement gets flooding water, there is a potential risk of electrical shock. Shut off your home’s power at the main breaker switches. Gas leakages – You need to stay protected from gas leaks. If you or maybe your family smell gas, right away exit the home and get in touch with your gas service provider immediately. Chemical substances – Throughout the cleaning phase, we use innovative techniques for handling proper ventilation to protect everyone from potential contact with potentially harmful chemicals. Pollutants – Sewage will frequently contain bacteria that can transmit diseases. In case the flood-water in your basement is correlated to the sewer and actually has raw sewage, this may be a big issue. 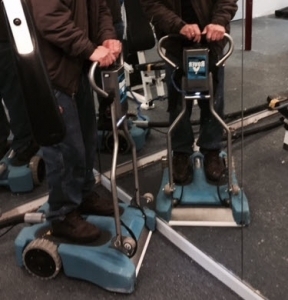 Our professionals at AllStates Restoration provide the appropriate equipment to work with when dealing with sewage. Please allow our professionals to handle this extremely sensitive activity. Any Structural damage – AllStates Restoration professionals will ensure the structural stability of your basement and crawl space. We thoroughly check the walls, ceiling and all structural elements, after cleaning, for the utmost safety for anyone that re-enter that room. Basement Water Damage Cleanup and Restoration is an intensive, complete project for which we at AllStates Restoration are fully up to the process. AllStates Restoration work directly together with your insurance company to ensure that your claim is maximized to make sure your basement and home are back to excellent condition to give you complete peace of mind. Will homeowner insurance cover the water damage in my basement? Unfortunately for many the answer to that is “most likely not.” Standard Homeowners’ insurance doesn’t cover damage from flooding, so unless you have a particular type of flood insurance policy, you’ll have to foot the bill for just about any water damage from the recent rain storm. The Insurance Information Institute presents this rule of thumb: water that comes from from top down (ice dams, for instance) is in most cases covered, but when water comes from the bottom up, such as in home flooding, it’s not covered. Many home owners who live in a low risk flood zones think they do not need to insure against flooding but the the fact is that at any given time, about 1/3 of all claims paid by the National Flood Insurance Program are for insurance policies in low-risk locations. To schedule NJ basement water damage cleanup appointment, call 888-651-2532 or click here.